Baba Yaga: The Temple of the Witch will see its first appearance at TGA this Thursday. After Far Cry Primal, you can add one more high profile premiere to The Game Awards this Thursday with the Rise of the Tomb Raider DLC Baba Yaga: The Temple of the Witch. This will be the first major DLC pack to release for the action adventure title and you can check out the first screenshot for the same above. Host Geoff Keighley also seems to be teasing an announcement related to Goat Simulator. Could a new Goat Simulator title be one of the major reveals? Time will tell. Rise of the Tomb Raider has seen some rather middling success since its launch. Having released so close to Fallout 4, it had a tough time garnering attention from consumers despite strong critical praise. As it stands, both Microsoft and Square Enix are happy with the game’s performance so we’ll see what this means for the franchise down the line. 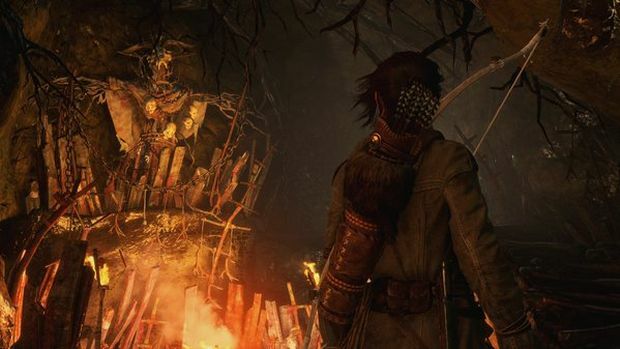 What are your thoughts on the Baba Yaga: The Temple of the Witch DLC though? Let us know in the comments.